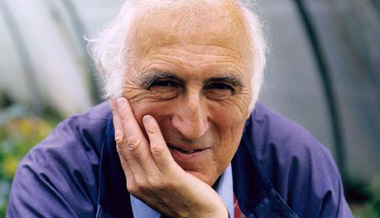 A friend of mine invited me to spend some time filming Jean Vanier at the L’Arche community north of Paris. It was like being with Gandalf; Vanier was tall and white of beard, he made tea for us, he was gentle and wise and, with an awe inspiring intensity, fiercely compassionate. The video linked below captures a small part of our time with him. Despite being Canadian, he isn’t that well known in Canada. Despite being a person of faith he is revered in France, a decidedly post-religous culture, in part, I think, because the example of his life transcends narrow religious categories. If one spends any amount of time at L’Arche enfolded into a kind of pure unadulterated humanity, a humanity of trembling spittle mingled with unfiltered love, one can’t help but feel the weight, the import of sitting with the man who lived the place into being. The link below takes you to the video which was created by and hosted on The Work Of The People. It’s a faith based website (albeit a pretty awesome one that’ll maybe shatter some preconceptions). I’m not apologizing, just letting you know up front in case you’ve been legitimately hurt by religion and would rather not follow the link, or in case that’s just not your bag of tricks.